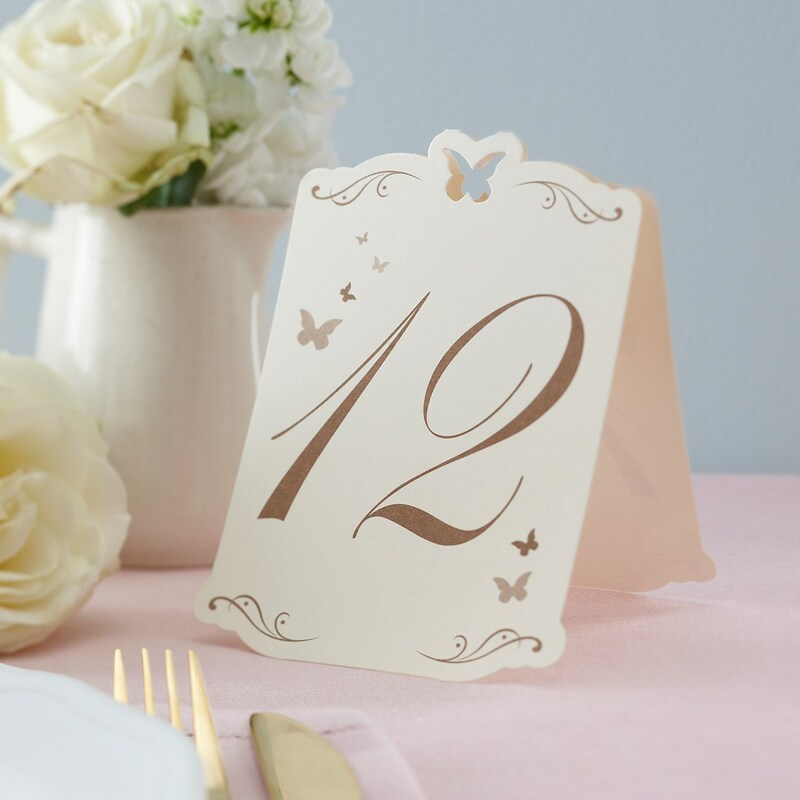 Butterfly Table Numbers 1 to 12 printed in Gold on quality card, pretty butterflies have been cut out of the card and cascade down the side. A butterfly cut out of the top of the card with swirls either side complete the look. These Table Number cards are free standing. Each table number card measures 10.3 x 15.4 cm. The hearts are cut out from the card at the top and at each of the four corners and there is a silver band around the edge of the card.